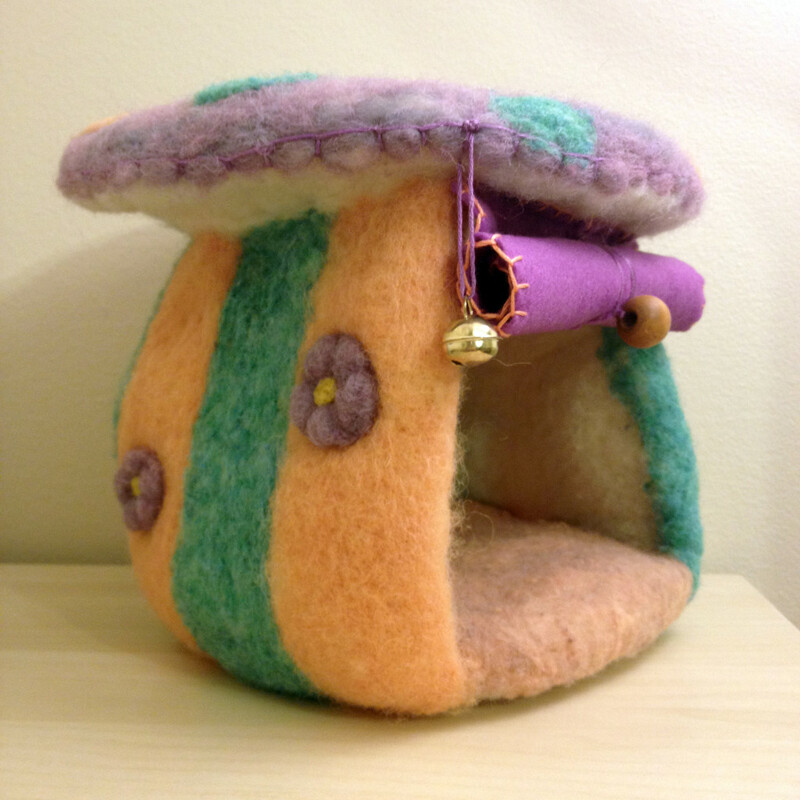 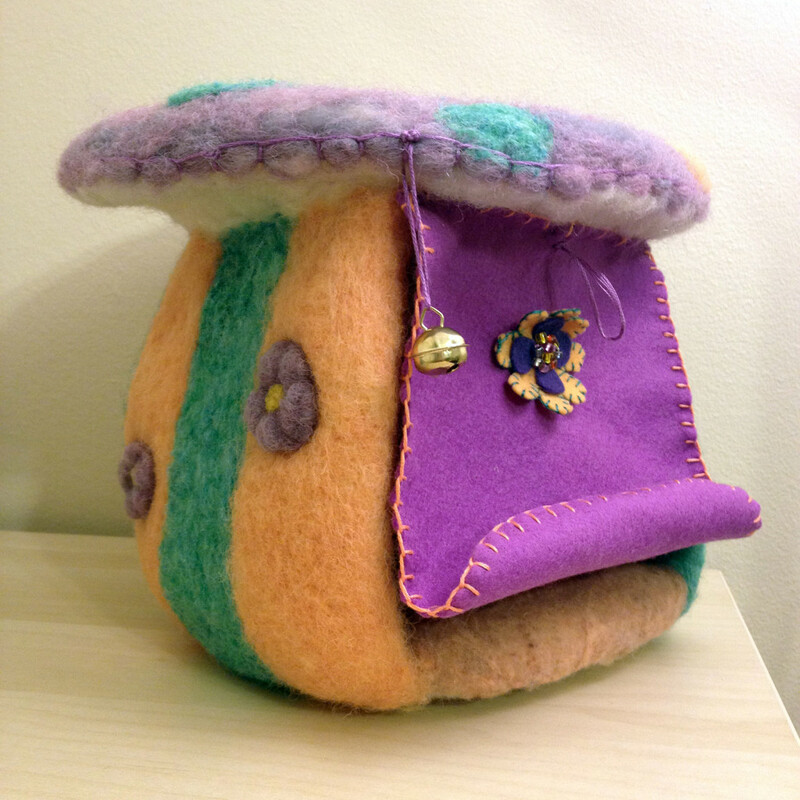 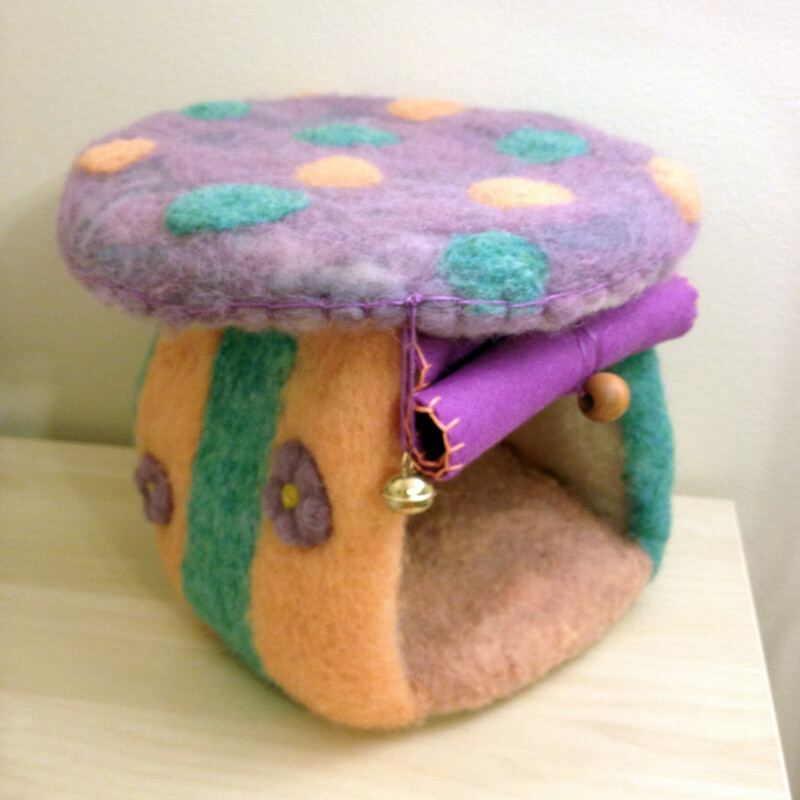 This house is about 12″ inch high and has an opening door. 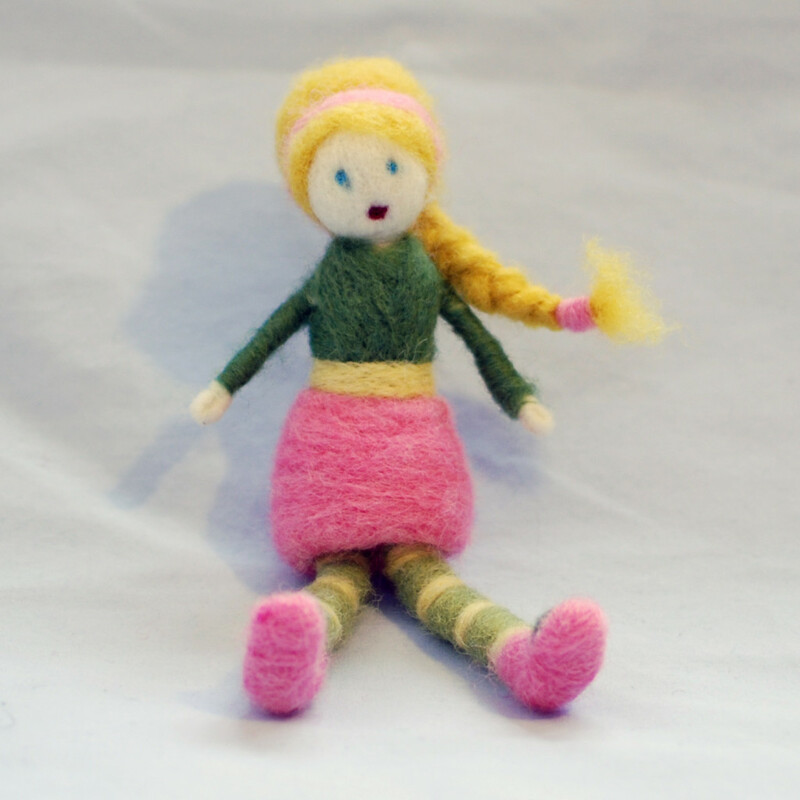 It’s a good toy for role play. 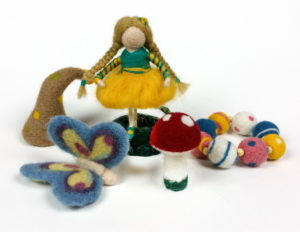 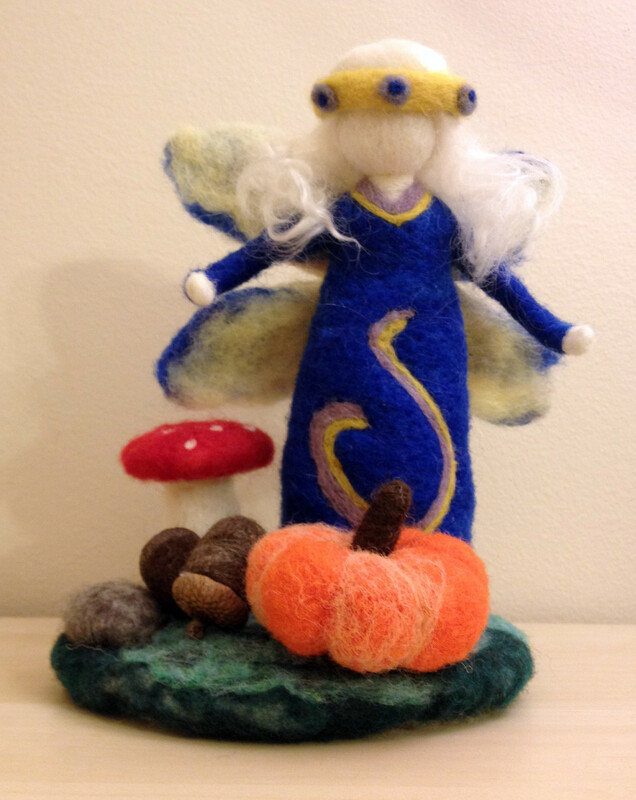 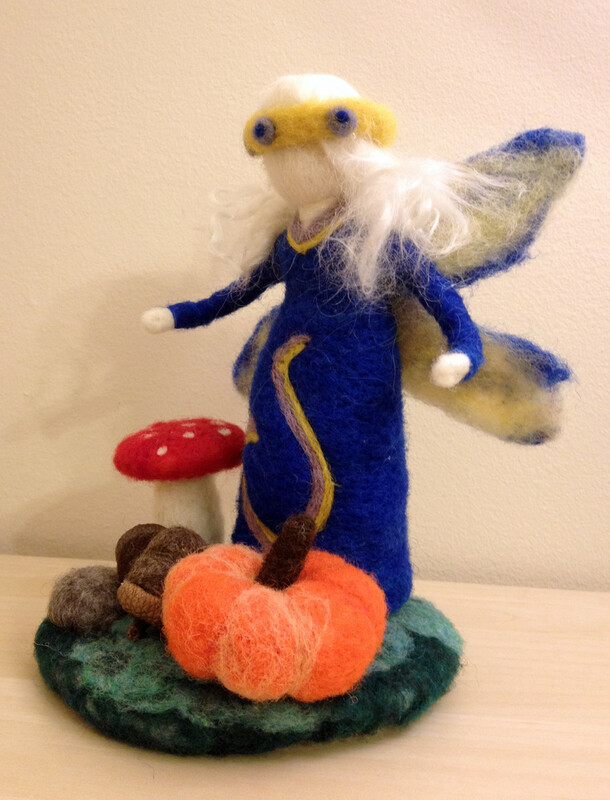 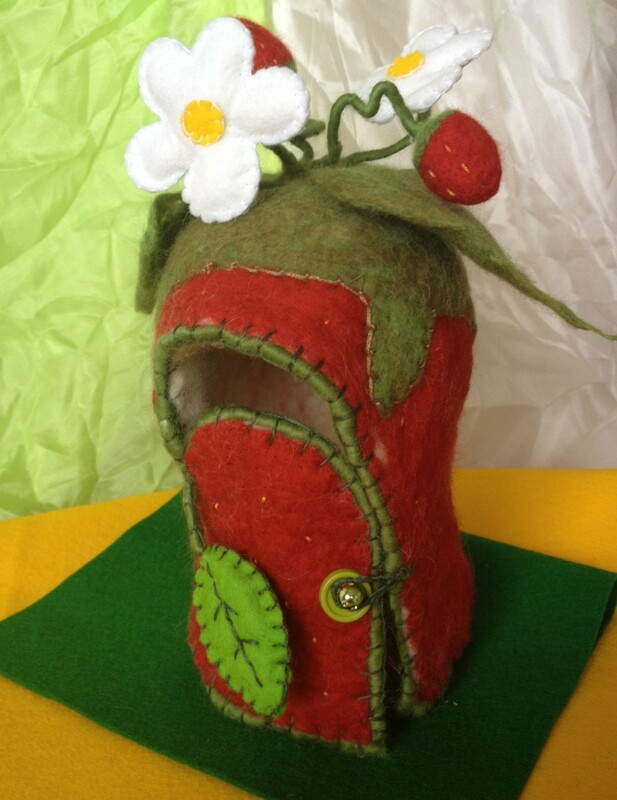 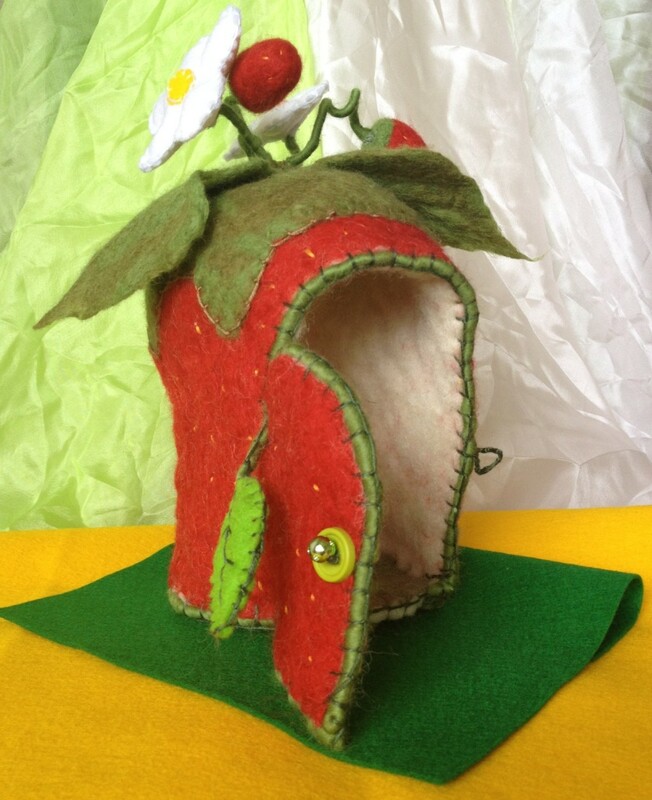 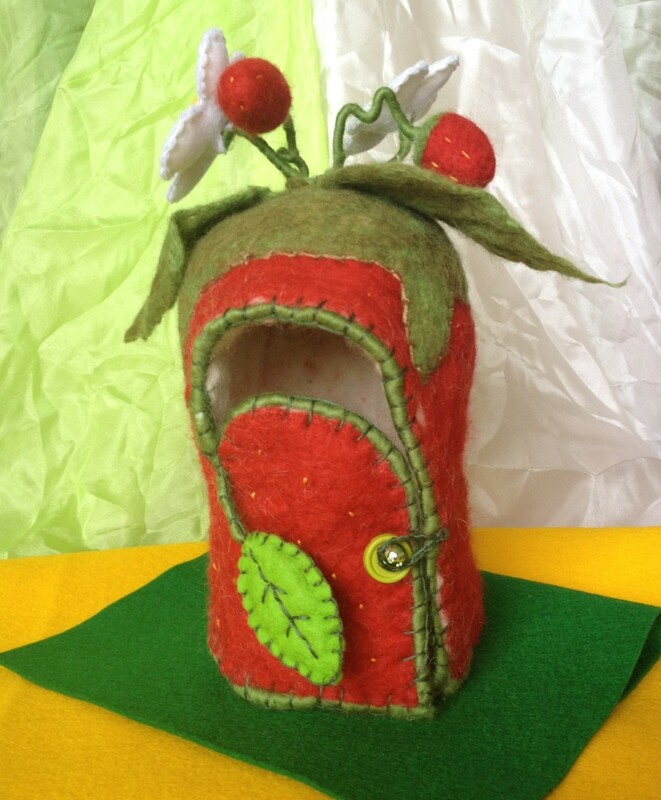 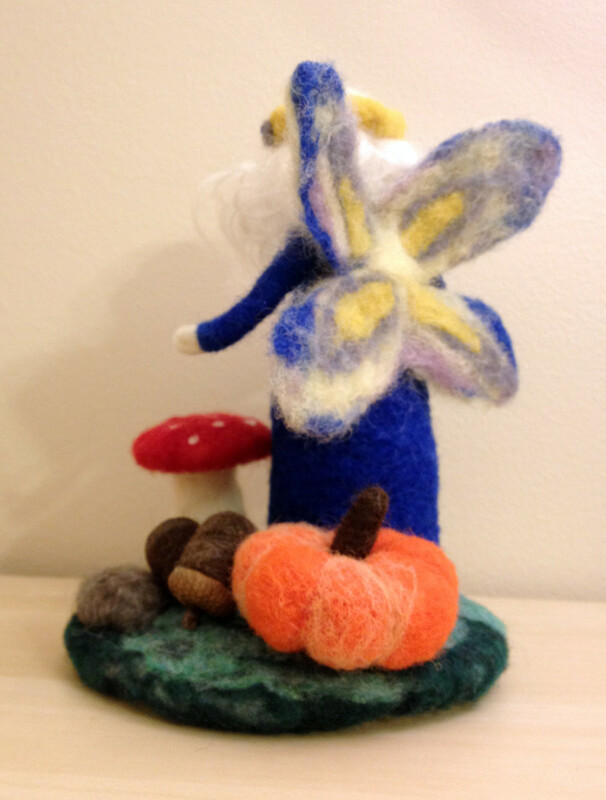 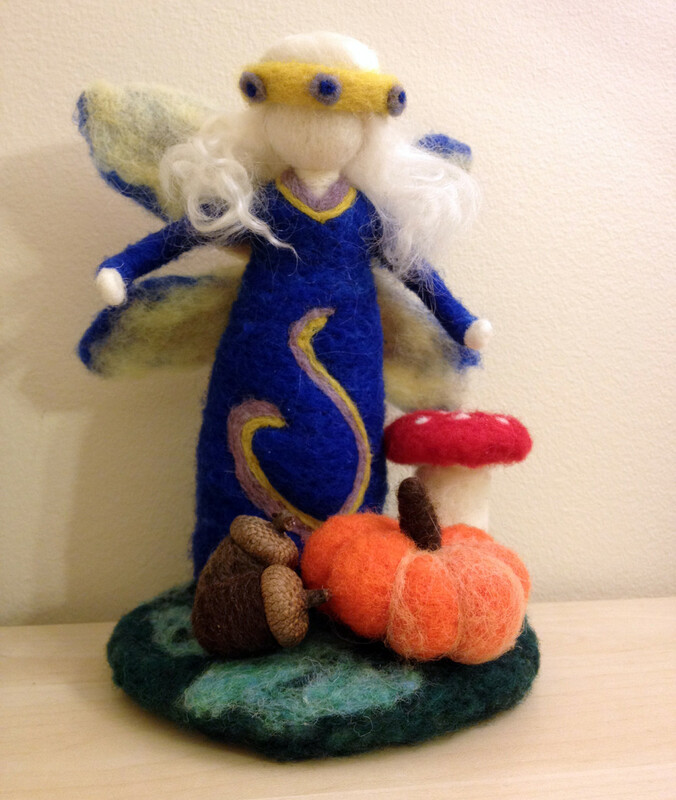 Needle felted fairy, about 7″ high. 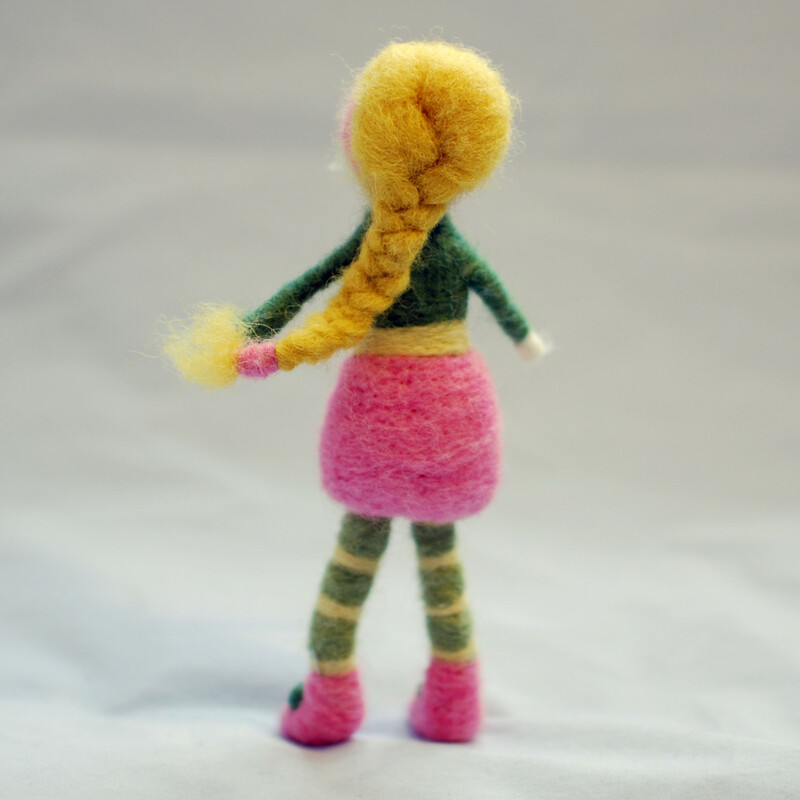 Small needle felted girl. 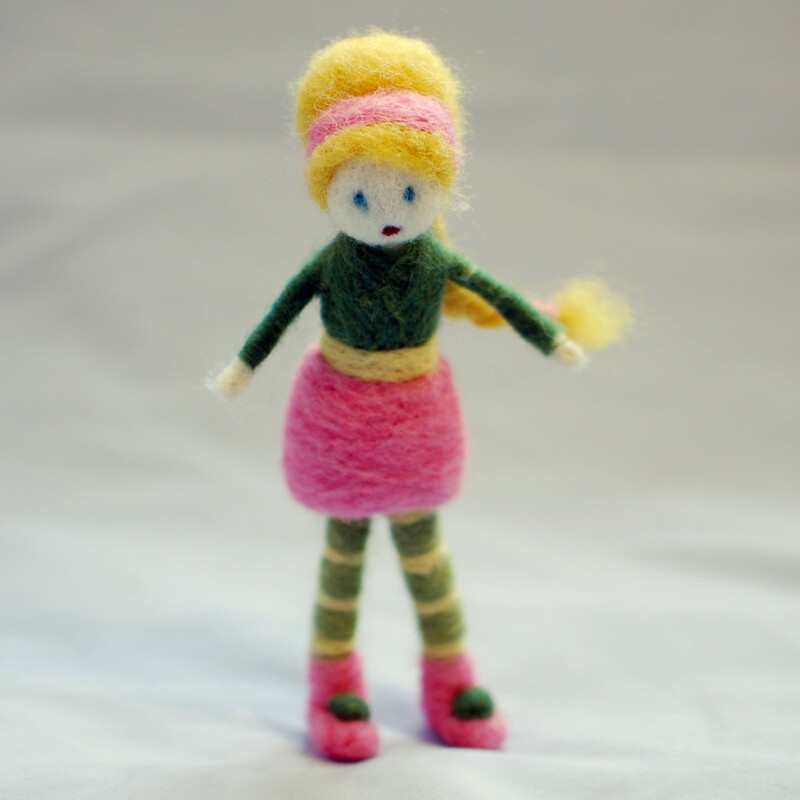 This doll is about 5″ high.